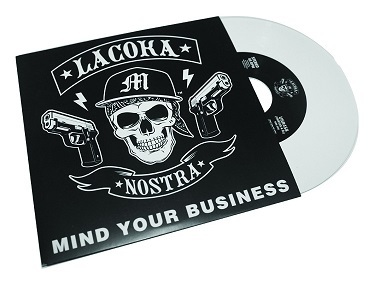 Available for pre-order, La Coka Nostra releases the 7″ vinyl to their popular single, “Mind Your Business”, produced by DJ Premier. From the 2012 album, Masters Of The Dark Arts, you can purchase either the clear vinyl or the white vinyl. Check out FatBeats.com for more information.